TenneT's main tasks are providing transport services, providing system services, providing a connection service and facilitating the energy market. To provide these system and transport services, TenneT uses ancillary services offered by the market. These are services provided by users of the transmission or distribution system to the TSO or DSO for operating the transmission or distribution system. International and national law prescribes the conditions under which an ancillary service is mandatory or voluntary and whether it should be paid or unpaid. In addition, users of transmission and distribution systems are legally obliged to comply with the requirements of the TSO and / or DSO for these services (including financial settlement of imbalance with the TSO). TenneT procurers many of the necessary ancillary services regularly in the market. More information about the procurement process can be found on this page. For general information on "ancillary services", read the following documents. FCR (primary reserve power) is the power that is activated under the control of the primary regulation. The primary control is a locally designed automatic device, which ensures a constant ratio between frequency change and installation (power) change within a maximum of 30 seconds. The aim of FCR is to stabilise frequency disturbances in the entire (internationally) connected high-voltage grid, regardless of the cause and location of disruptions. Severe frequency disturbances can lead to automatic load shedding and in the worst case cause a blackout. ENTSO-e rules stipulate that the TSO must have a certain volume of FCR available. This volume is determined annually by ENTSO-e. It is because of this obligation that TenneT procures FCR. The Continental Europe Operation Handbook, Policy 1. The FCR capacity needed for the synchronous area is set to the minimum of a reference incident and a probabilistic dimensioning analysis for FCR. The largest reference incident is determined on 3000 MW in positive direction and 3000 MW in negative direction. The distribution of the total FCR volume among the individual TSO's is based on the net production and net consumption of their control area divided by the sum of net production and net consumption of the total synchronous area over a year. The outcome is expressed as a percentage, and called the frequency bias. For 2019, the frequency bias of the Netherlands is 3.7%. This means that an outage of 1000 MW anywhere in the synchronous area, should result in a Dutch FCR contribution of 37 MW. Since reference incident is 3000 MW in total, TenneT has to have 111 MW (3.7% of 3000 MW) of FCR capacity available at any time in both upward and downward direction. TenneT organises two separate weekly auctions to purchase the FCR volumes it requires. One auction for Dutch suppliers only and one auction with other TSOs called "the common auction". To learn more about these auctions and the product FCR, read the following documents. For maintaining the real-time power balance of the Netherlands, TenneT mainly uses bids for regulating power (aFRR) and reserve power (mFRRsa) offered by market participants to TenneT. The activation (dispatching) of FRR bids for balancing takes place in real-time operations. This regulating and reserve power is exlusively for correcting the real-time power imbalance. The volume needed for FRR is a total of aFRR and mFRRda. First the total is determined and in a second step the minimum aFRR is determined. This is than deducted from the total (FRR) to get the needed mFRRda. 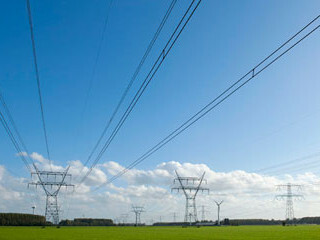 The volume of FRR is among other things based on historical imbalance values and on the size of a reference incident, or in other words the largest imbalance that can result from an instantaneous change of active power of a single power generation module, single demand facility or single HVDC interconnector, or from a tripping of an AC line within the LFC block. The data used in deterministic, stochastic and probabilistic analyses. Article 157 sub 2 e and f, state that the dimensioned aFRR volume is at least equal to the outcome of the deterministic approach (reference incident), or larger when the stochastic or probabilistic approach results in a larger volume. The subdivision of the dimensioning of FRR into aFRR and mFRRda is done according to the Continental Europe Opertion Handbook, Policy 1. The policy describes a method to determine the minimum required volume of aFRR. TenneT may raise this minimum with an additional volume if required. This additional volume is amongst others based on the historical balancing quality. Below you find a table with the determined dimensioning minimum of aFRR. The actual contracted volumes may differ to contract the best economic mix of reserves. In order to ensure that sufficient bids of regulating power or aFRR is available at all times, TenneT enters into capacity contracts in which suppliers commit to making bids for a certain period. For this TenneT organises a monthly tender and a weekly tender. To know more about these tenders and the product aFRR read the following documents. TenneT uses the regulating and reserve bids for maintaining balance that have been made available by market participants. In addition, TenneT can use mFRRda, or incident reserves, for maintaining the balance in case of incidents and substantial long-lasting power deviations. The dimensioning of mFRRda is part of the determination of FRR (total of aFRR and mFRRda). See dimensioning under aFRR. Below you will find a table with determined volumes of mFRRda. The actual contracted volumes may differ to contract the best economic mix of reserves. 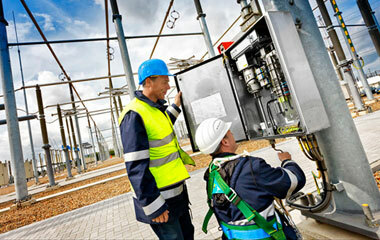 Emergency power is contracted by TenneT at suppliers. The incident reserve supplier has the obligation, over the entire contract period, to be able to draw or supply the power agreed from the Dutch grid on call from TenneT. The emergency power is purchased per quarter and per month. Learn more about the product mFRRda then read the following documents. mFRRsa is reserve power that is used for balancing purposes. In contrast to aFRR, the bid has a call time of 1 PTU instead of a ramp rate. The call is the offered volume per PTU. These bids are not contracted. More about the format of the bids in the "implementation guide" and "Manual Bidding of aFRR and mFRRsa". For mFRRsa there are no requirements on minimum volumes. These are bids placed under the obligation to bid in by the Dutch gridcode. The TSO must ensure adequate voltage control for the high-voltage grid. In order to so TenneT requests a supplier of reactive power to deliver or absorb reactive power at the point of grid connection at a level that differs from the standard exchange of 0 Mvar. TenneT can enter into contracts with electricity producers that are connected to the EHV (380 kV / 220 kV) or the HV (150 kV / 110 kV) grid which put the reactive power range of each contracted production unit at TenneT's disposal. These contracts can apply for a specified period but also for a specified situation. The contracts are concluded following the outcome of a yearly tender. To learn more about the product reactive power, read the following documents. Redispatch (shifting in-feed and take-off of electricity from the grid) is one measure for solving expected transport problems (usually N-1 overload) in the high-voltage grid. By feeding in less power in one place and more (to the equivalent amount of) power in another place into in the grid, transports are influenced and transport problems can be solved. For redispatch, TenneT can use the so-called "reserve power for other purposes" that are offered to TenneT. Suppliers 'Reserve Power for Other Purposes' can submit bids to TenneT. These bids can, with the exception of the approval period, be adjusted to 3 Program Time Units (PTU's) before the PTU from start of delivery. For more information about the product 'reserve power for other purposes' read the following documents. TenneT performs redispatch when transport problems occur for which the solution is considered is shifting production. Because the location in the high-voltage grid where more or less energy needs to be fed-in is important, contact is initially sought with connected parties in the problem area. For this reason, unique bilateral contracts are concluded for redispatch with such parties. There is therefore no standard procedure for this. One of the tasks of TenneT is to coordinate the restoration of electricity supply in the event of a black out. To be able to fulfill this task, TenneT requires facilities that can energise a grid and deliver power in a situation in which (a large part of) the actual grid voltage of national HV grid is equal to zero, in order to allow TenneT to restore the electricity supply. TenneT concludes a contract for the provision of a black start sevice only every so many years with contract period spanning multiple years because of the required investments. A procedure to conclude a new agreement is announced well ahead of time. When electricity is transported a small share of this electricity is converted into heat. These so called grid losses are compensated by the TSO by procuring electricity. TenneT distinguishes between the grid losses in the national AC-grid and the cable losses of the DC-cable to Norway (NorNed). In addition TenneT procures Guarantees of Origin (GoO) corresponding to the volume of the grid losses. The ancillary service requested is the supply of electricty to compensate for total grid losses. This ancillary service is regarded as commodity to be procured on an annual basis. A tendering document is issued annually. Transmission of electricity on the NorNed cable also causes losses. These cable losses are taken into account using a fixed formula in the market coupling process. The resulting deficit or surplus is procured or sold separately. For these transactions a contract is concluded with a supplier on an annual basis. A document describing the requirements and specific way of working is drafted annually. In its capacity of TSO, TenneT procures the electricity that is necessary for a well-functioning system. This includes the compensation of grid losses and the cable losses Norned and the electricity consumption of converter stations. The source of this purchased electricity is not defined. However, to minimise the environmental impact of its own electricity consumption and to stimulate the production of renewable energy, TenneT procures Guarantees of Origin (GoO) based on an annual call for tender. You will find here the non-specific product documents for System Operations Netherlands. You can download these documents per document or altogether (zip-file). TenneT TSO B.V.'s taken bestaan o.a. uit het verzorgen van transportdiensten, het verzorgen van systeemdiensten en het faciliteren van de energiemarkt. U vindt hier informatie over de producten en diensten welke gebruikt en geleverd worden en de actuele data over het Nederlandse elektriciteitsnetwerk en het door TenneT TSO B.V. beheerde landelijk transportnet.